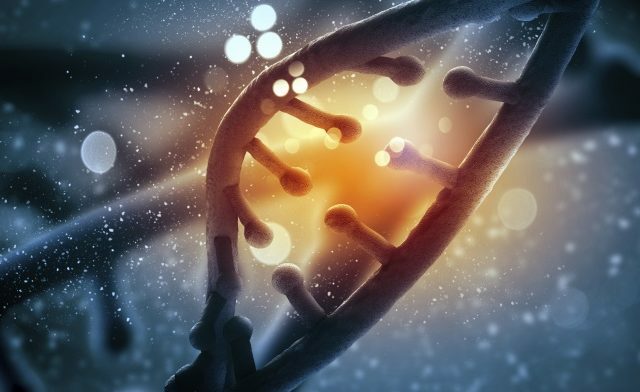 (HealthDay News) — A single nucleotide variant in the FTO obesity locus disrupts a conserved motif, which has obesity effects, according to a study published in the New England Journal of Medicine. Melina Claussnitzer, PhD, from Harvard Medical School in Boston, and colleagues examined epigenomic data, allelic activity, motif conservation and directed perturbations in FTO samples from patients and mice. In samples from patients, the researchers performed endogenous CRISPR-Cas9 genome editing, with the aim of dissecting the regulatory circuitry and mechanistic basis of the association between the FTO region and obesity. The rs1421085 T-to-C single-nucleotide variant in the FTO obesity-risk locus disrupted a conserved motif normally bound by repressor ARID5B, the researchers found. The disruption resulted in derepression of a potent preadipocyte enhancer, doubling expression of IRX3 and IRX5 during early adipocyte differentiation. Disruption also resulted in a cell-autonomous developmental shift from energy-dissipating beige adipocytes to energy-storing white adipocytes, with a reduction in mitochondrial thermogenesis and increase in lipid storage. Reduced body weight and increased energy dissipation were seen with inhibition of Irx3 in adipose tissue in mice. In primary adipocytes, knockdown of IRX3 or IRX5 restored thermogenesis in participants with the risk allele. “Our results point to a pathway for adipocyte thermogenesis regulation involving ARID5B, rs1421085, IRX3, and IRX5, which, when manipulated, had pronounced pro-obesity and anti-obesity effects,” the researchers wrote. Claussnitzer M et al. N Engl J Med. 2015;doi:10.1056/NEJMoa1502214.